"The Dirt" is now streaming on Netflix. Last month the official trailer for The Dirt was released, anticipating the arrival of the Netflix documentary based on the rise of 80s metal band Mötley Crüe. 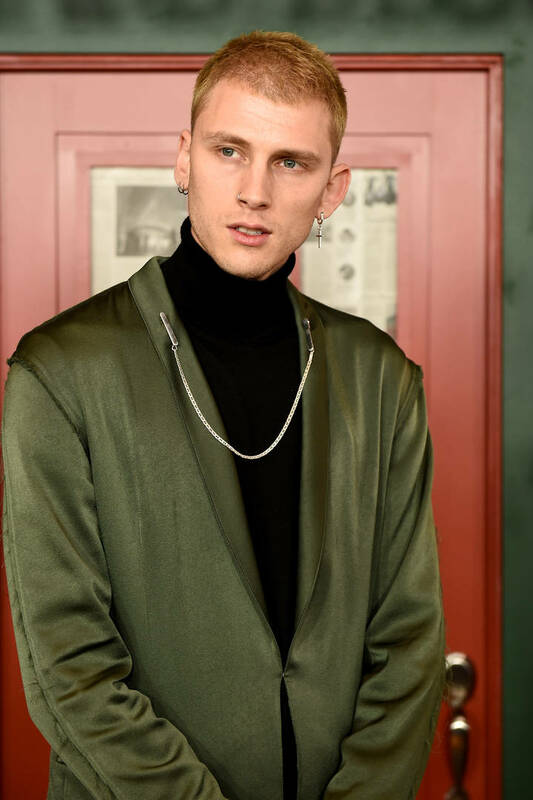 As we know, Machine Gun Kelly stars as Tommy Lee in the biopic and he recently opened up to Entertainment Tonight about some memorable scenes. One scene that stands out the most to MGK is the reenactment of the time the band raged through a hotel and set their room on fire. "Yes, it really was like that," MGK told the publication. "That scene happened in real life, where they set the fire in the hotel room. They were running from the cops and they blamed Mick [Mars for it]." Of all the scenes and fun times on set, MGK details how having Tommy standby to see the magic happen was easily one of the best parts. "I think the coolest thing is when Tommy would be on set and be like, 'Dude, it was just like that!'" he recalled. "Like, we did the intro scene at the Mötley Crüe house. It shows all four of us in this element. I guess it was spot-on with [what] the house [was really like]." The movie debuts on Netflix today, peep the trailer below.